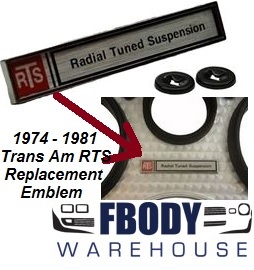 New reproduction door handle cups for 75-76 Trans Am with THIN style door cups. Includes mounting hardware! 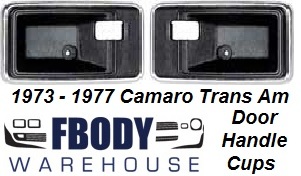 This is a set of brand new inner door handle cups for 1975-1977 Trans Am. This set is a thin style cup depth that was used on the year range listed. These are installed on the door panel behind the door handle to complete your inner door. Black units have a chrome plated outer trim on them. Sold WITH New Installation Hardware! These usually crack over time and mounting holes lobe out.